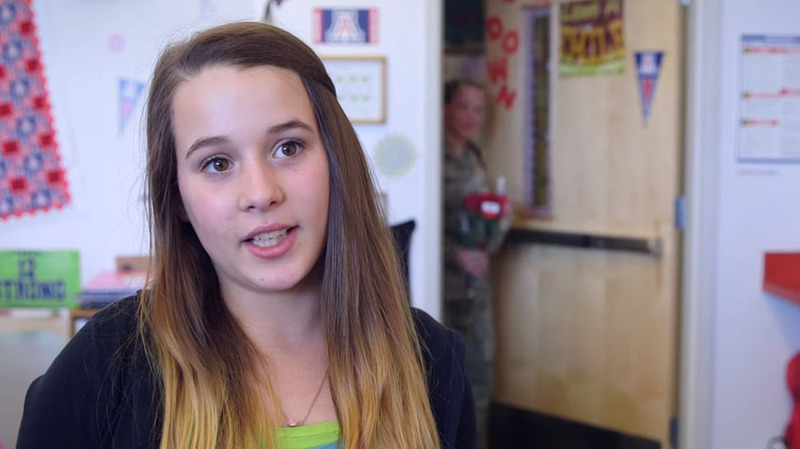 The girl in the video spent seven months only with her father, since her mother Cherie was working in the army. She was away for a long time, but years ago she prepared an unforgettable surprise for her daughter! 2nd Lt. Cherie Thompson spent seven months for training in Texas, and she had only contact with her family through a mobile phone. All this time daughter Nevaeh did not see her, and in the days before her mother returned back home, she had a special interview at Liberty Middle School. The interlocutor first posed some questions about technology, and then asked her if she had already seen footage when some parents surprised family members by the early return. The mother stood behind her back, who returned from the military training a few days before the scheduled date. When you see this reunion, you will certainly be impressed with the scenes yourself!